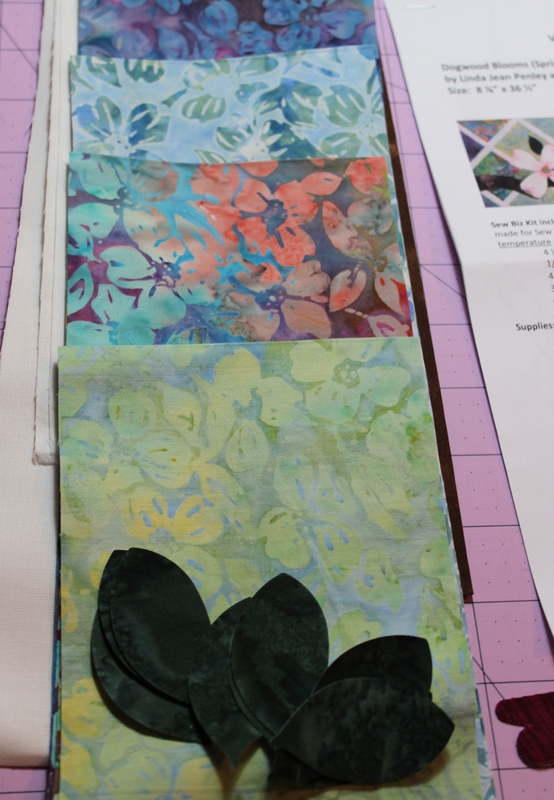 The theme for the Row by Row Experience was “Sew a Season.” Each quilt shop chose a “season” and created a pattern which you could pick up for free at each of the shops. 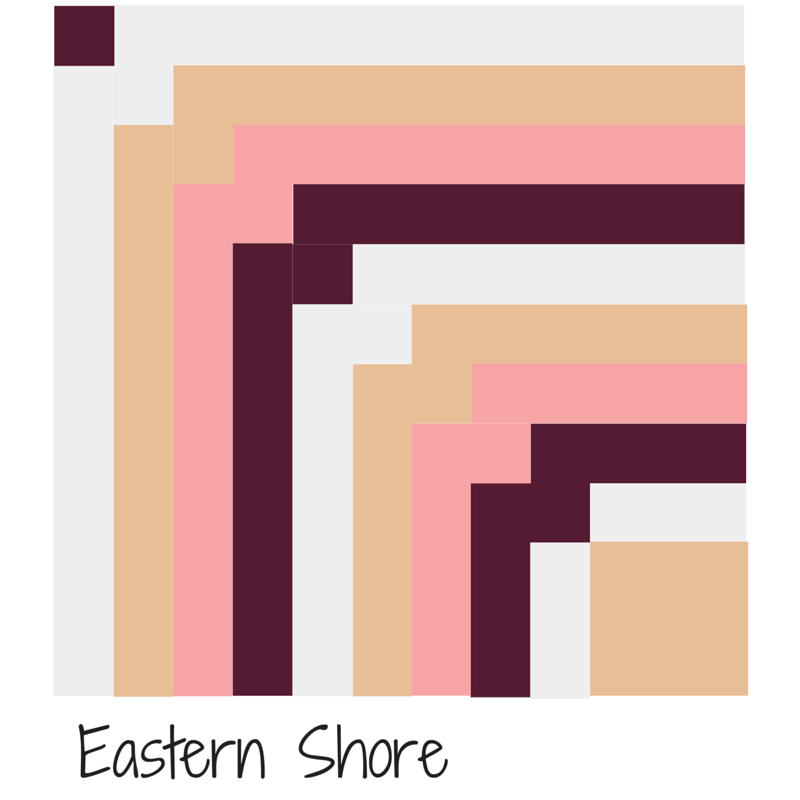 My intention was to make a project from each of the quilt shops I visited, so 8 shops 8 projects. 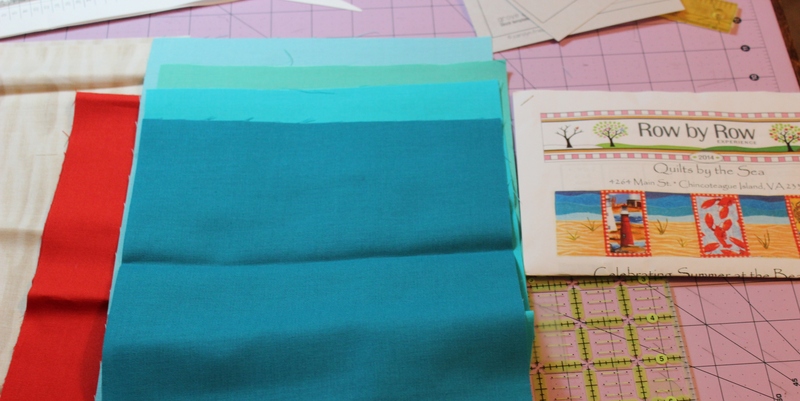 So far I had made a tote bag using the pattern from Blue Crab Quilt Co., and a pillow cover from The New River Fiber Co. Next up on my list was Creative Quilting Connection, located in Roanoke, Virginia. Their block was called, “Autumn in the Star City”. 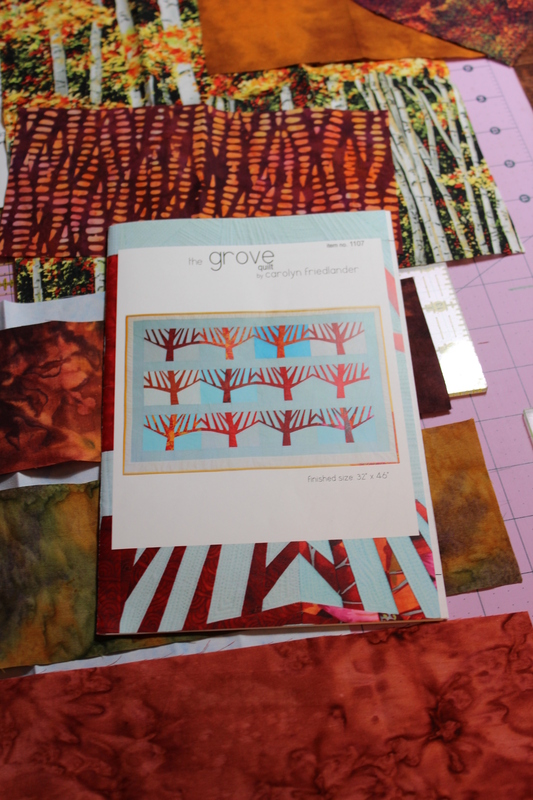 I made four trees with the batiks, and of course they look like “Autumn.” Now I needed the other seasons: Summer, Winter and Spring and maybe Football Season because it’s always Football Season at my house. I liked the idea of white trees for winter, and I made “football season” in school colors: black, blue and white. I plan to hand quilt it. Just a quick note on our trip to Chincoteague Island. 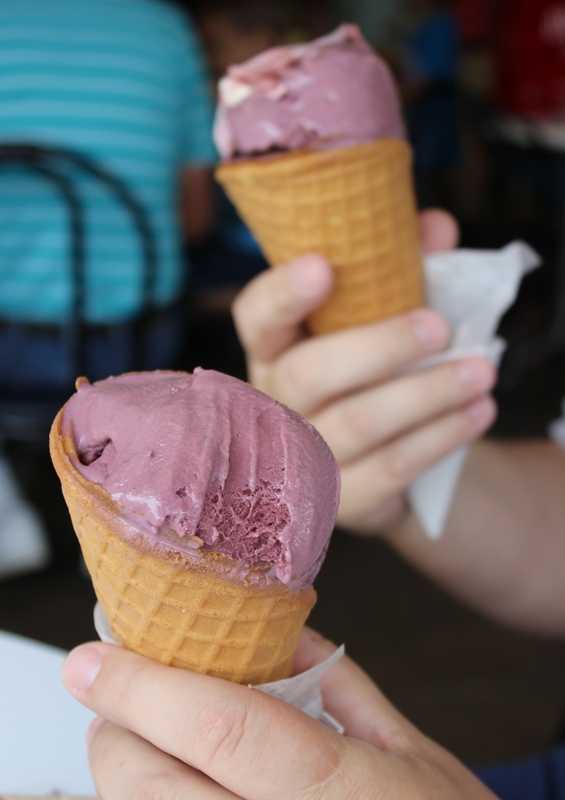 We ate the most heavenly ice cream at The Island Creamery. Oh, Wanda, I’m really loving this quilt. I especially love how you decided to mirror some of the trees – it’s giving me all sorts of fun ideas! Thanks for the inspiration! Thanks. I’m really loving it too. 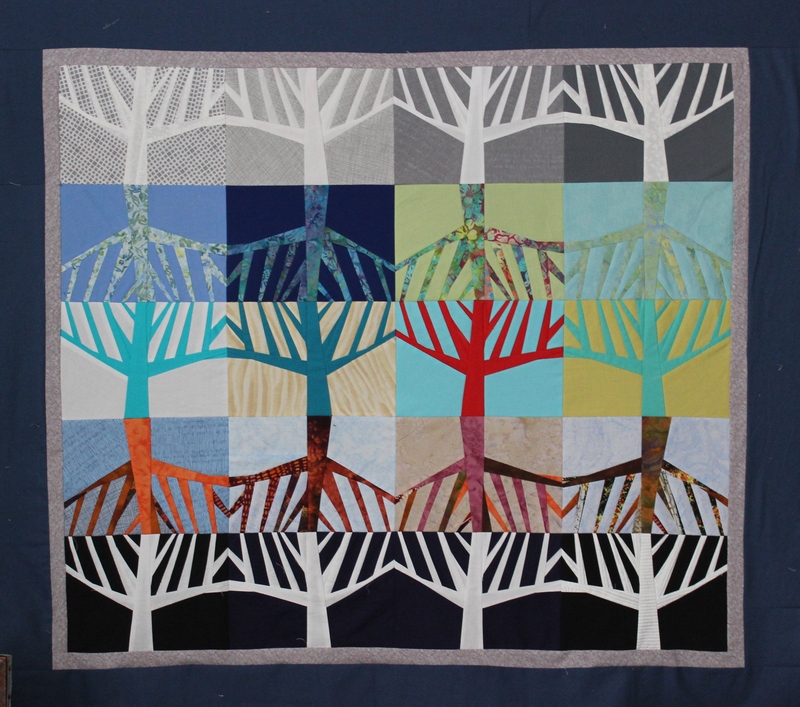 I really love the way the quilt evolved, and the trees are beautiful. I also love island creamery! 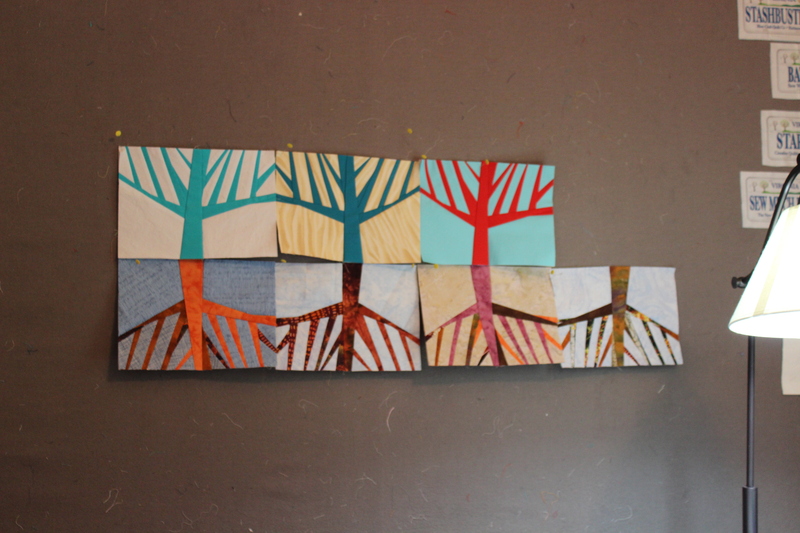 I like that tree quilt!